Accuracy to the 100th of a millimetre. 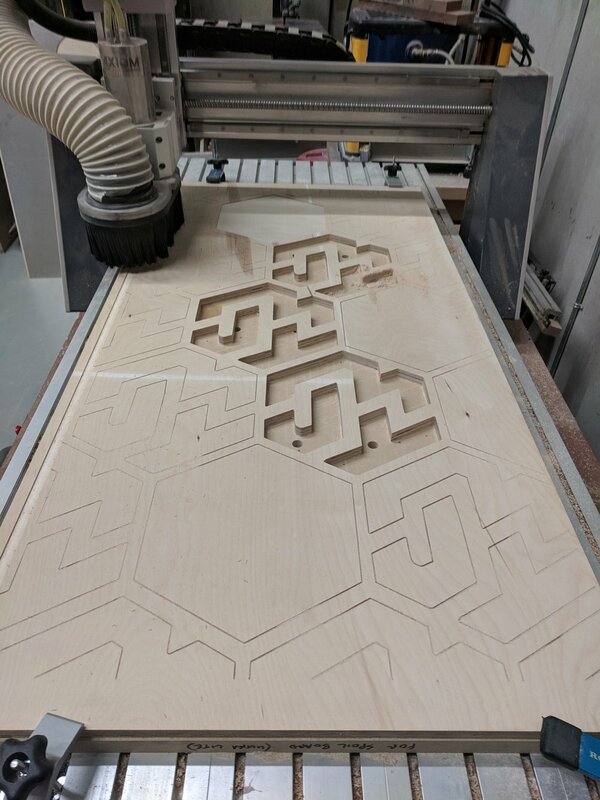 This automated cutting machine is the champion of detail, and complexity. Four parts join seamlessly together in this 5x5 ft ornament for touring rock band, Iron Kingdom.